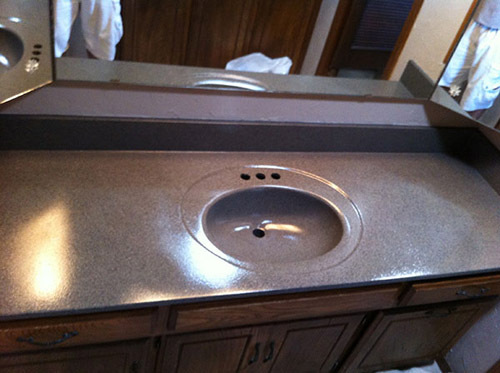 This is an example of a vanity top done in Stone-Fleck Charcoal. After any repairs are made to the sink and top then primer is applied. 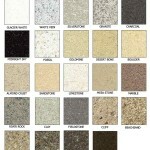 Stone-Fleck treatment comes next followed by the Stone-Gard finish. This vanity will last for years.